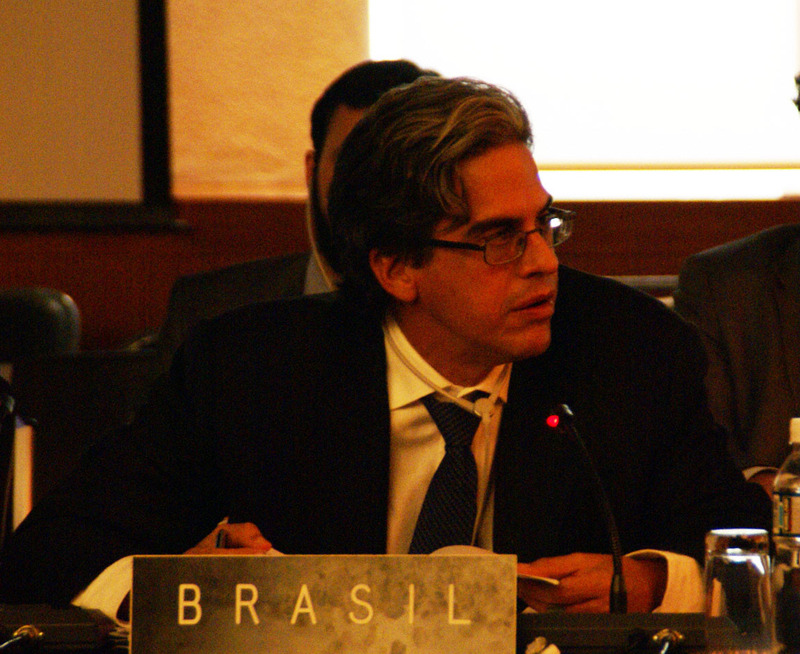 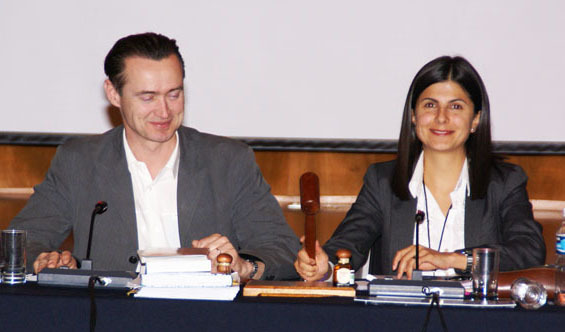 Co-Chair Nieto gavelled the meeting to a close at 6:06 pm. Delegates to the first meeting of the Friends of the Co-Chairs on Liability and Redress met throughout the day to consider a draft supplementary protocol on liability and redress to the Biosafety Protocol. 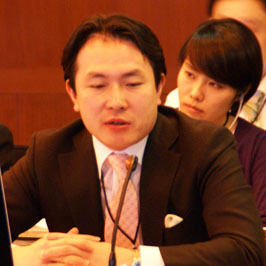 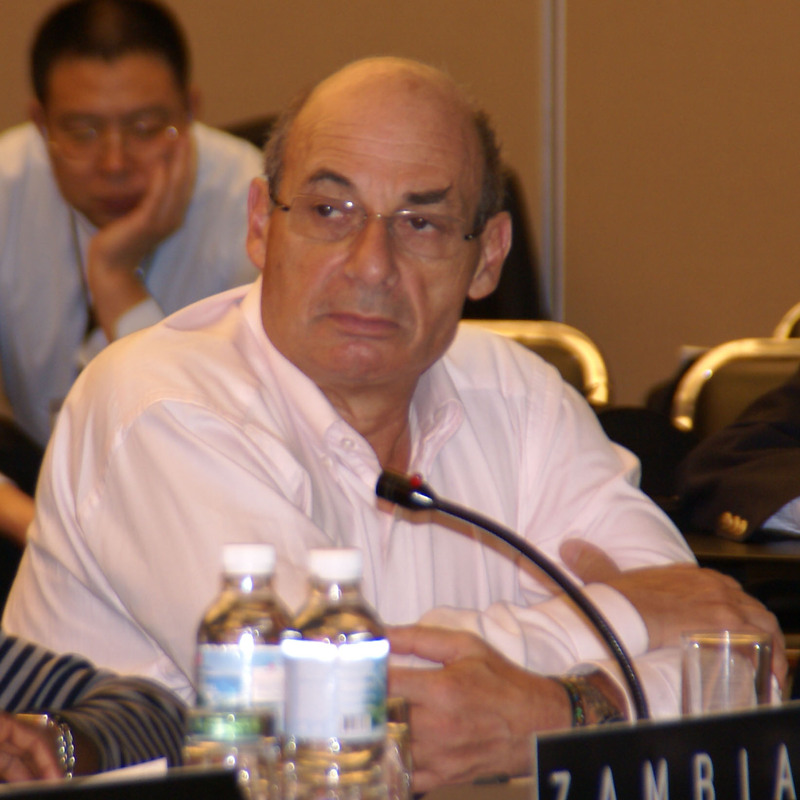 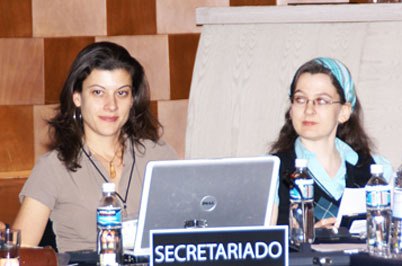 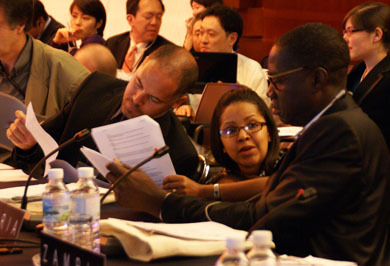 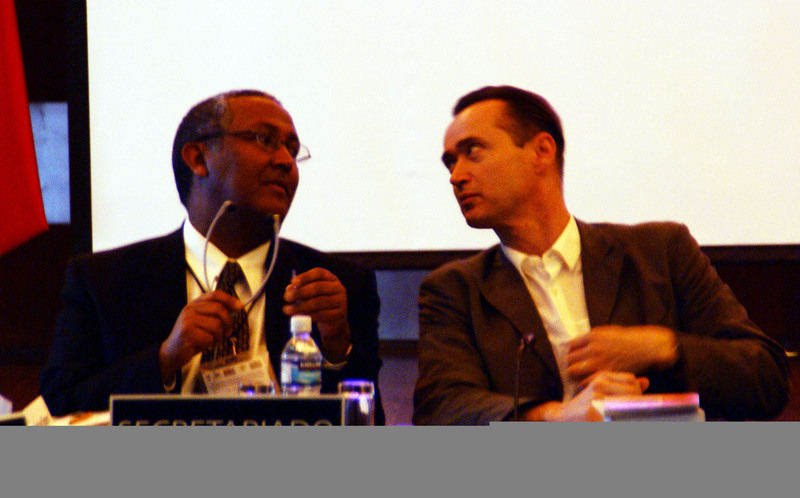 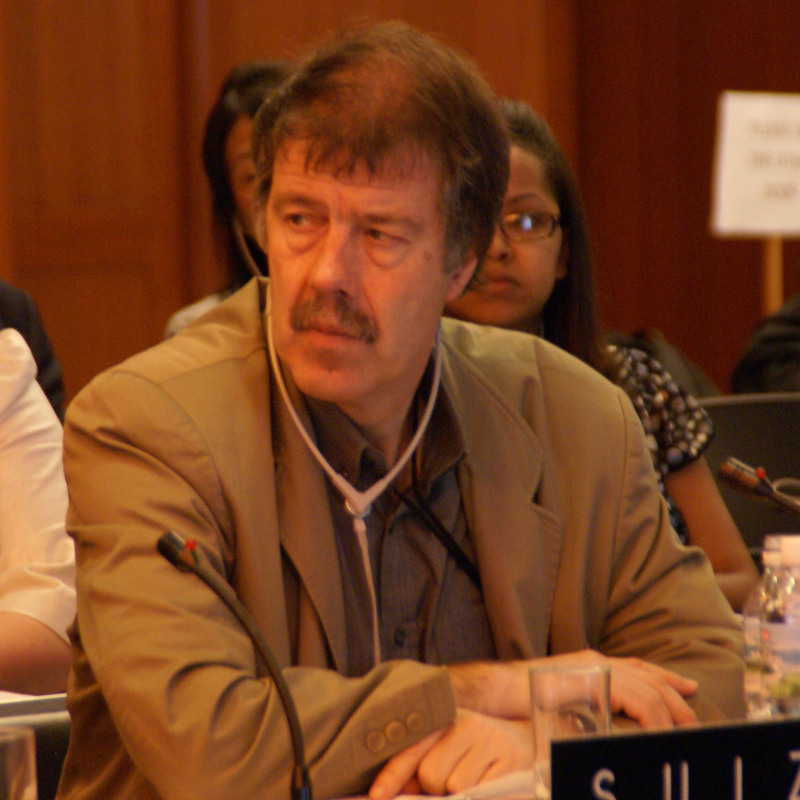 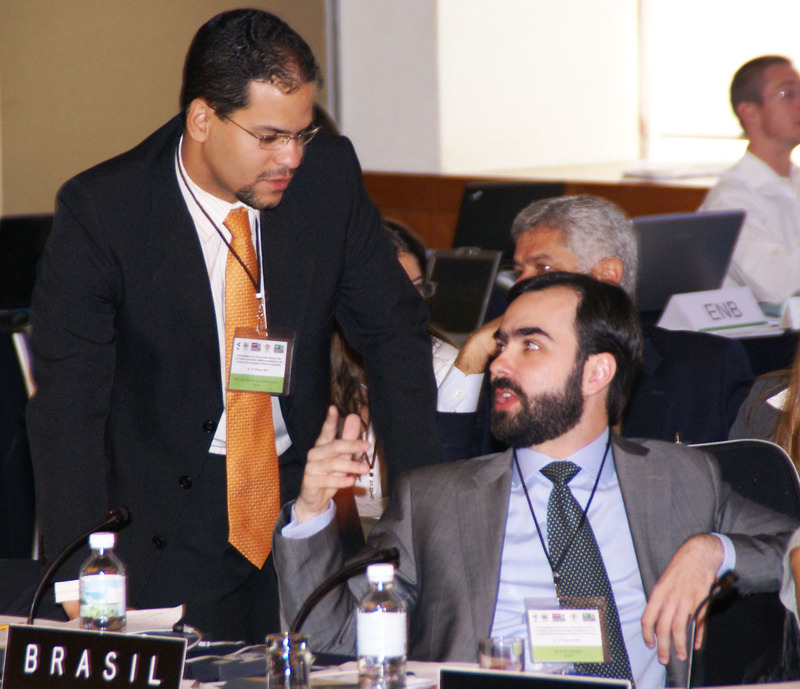 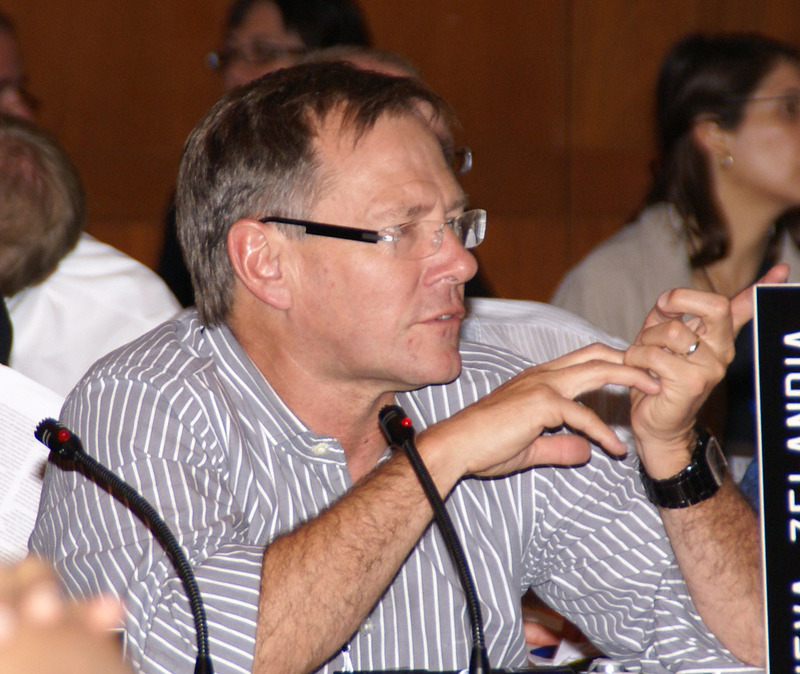 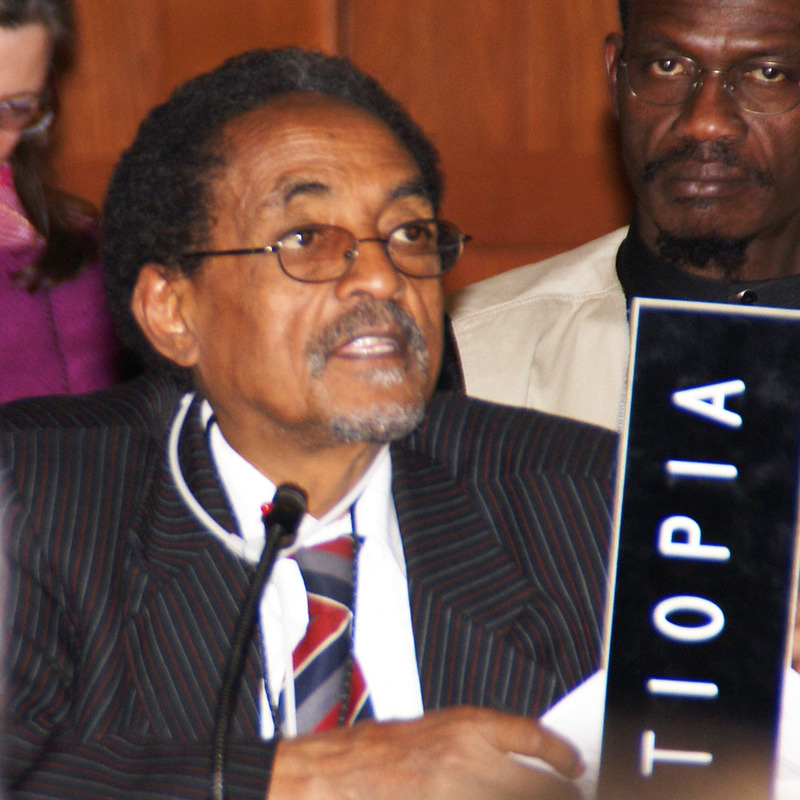 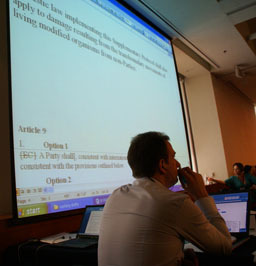 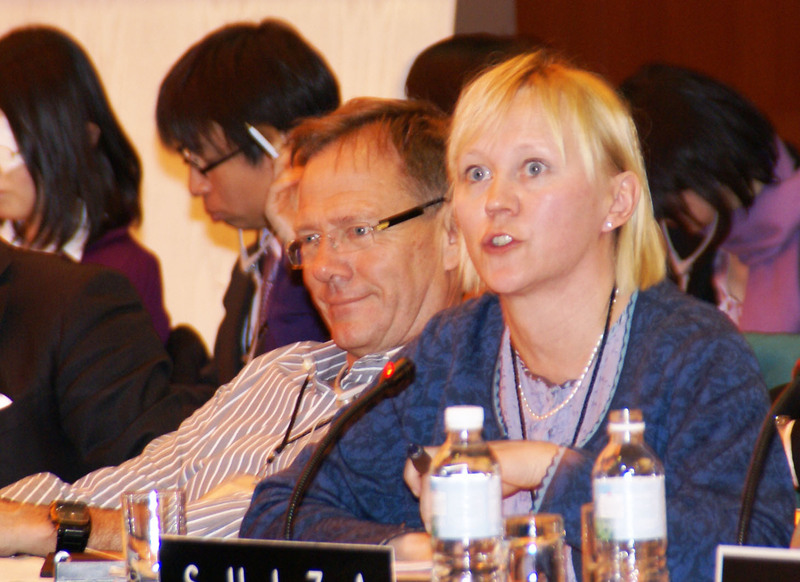 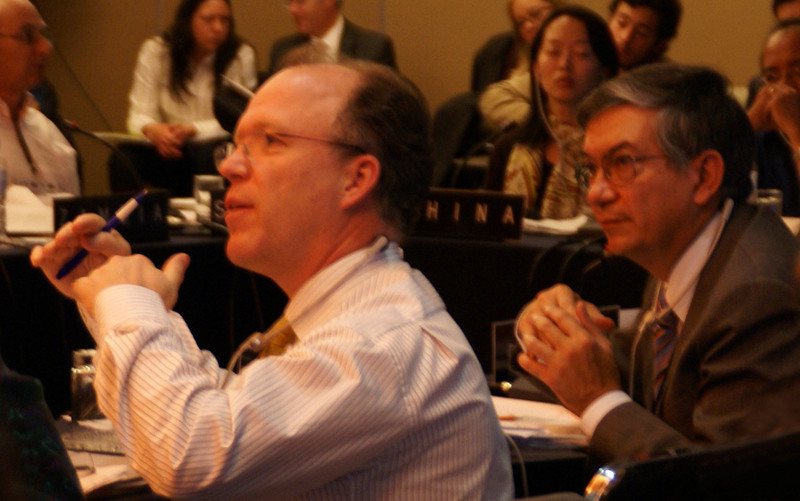 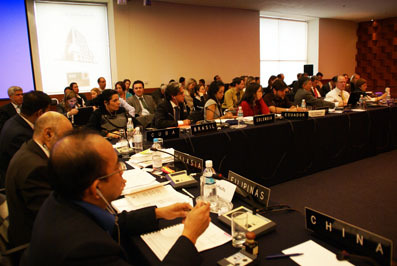 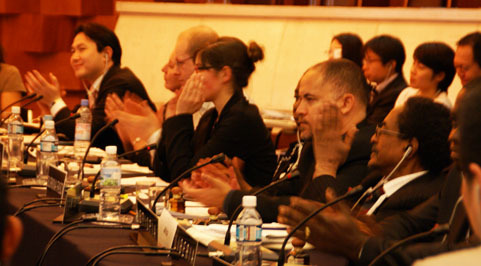 Delegates considered continued deliberations on: response measures and restoration; limitation to the authorization at the time of import of the LMO; causation; non-parties; and the primary compensation scheme, including the definitions of restoration measures, operator and the roles and functions of the competent authority. 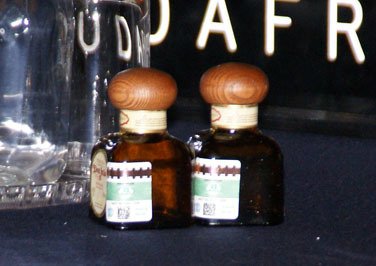 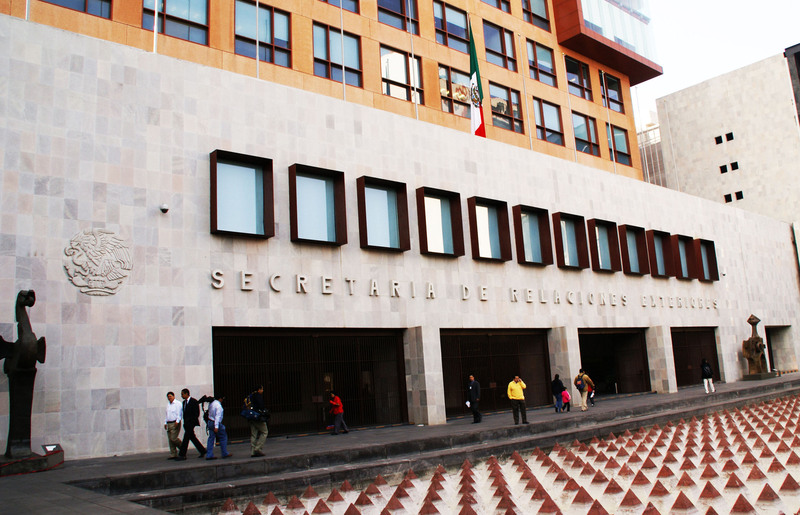 The Mexican goverment offered "Don Julio" tequila bottles as a souvenir to delegates. 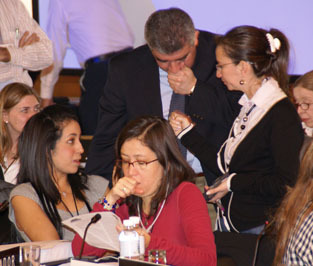 Organizing staff distributing the host presents. 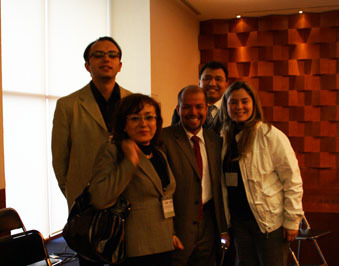 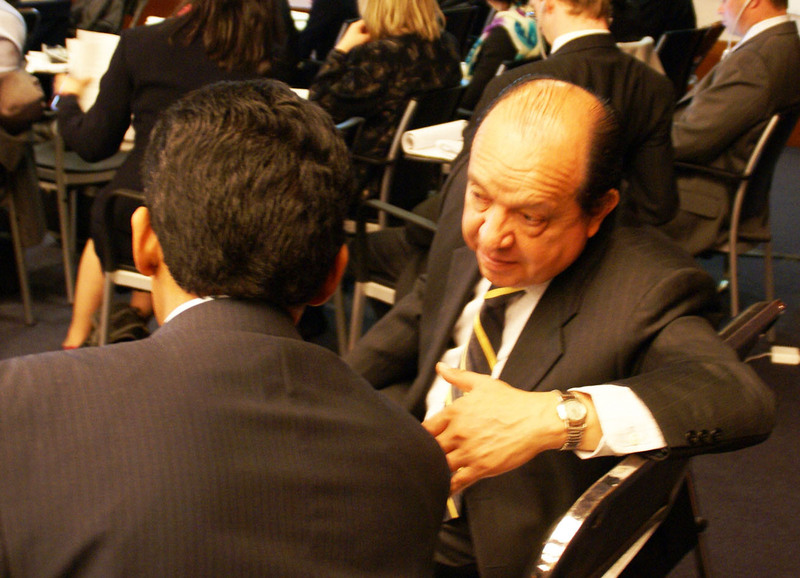 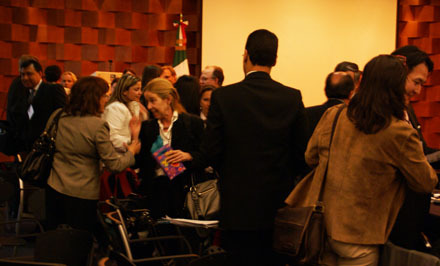 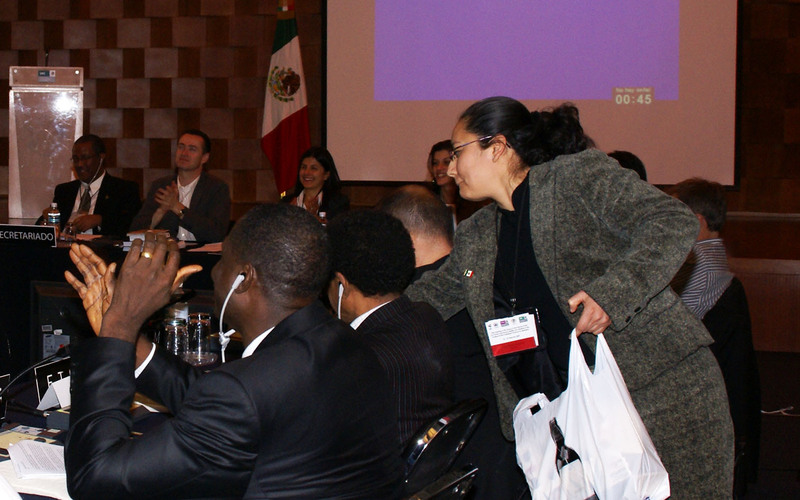 Delegates thanking the Mexican goverment for their present. 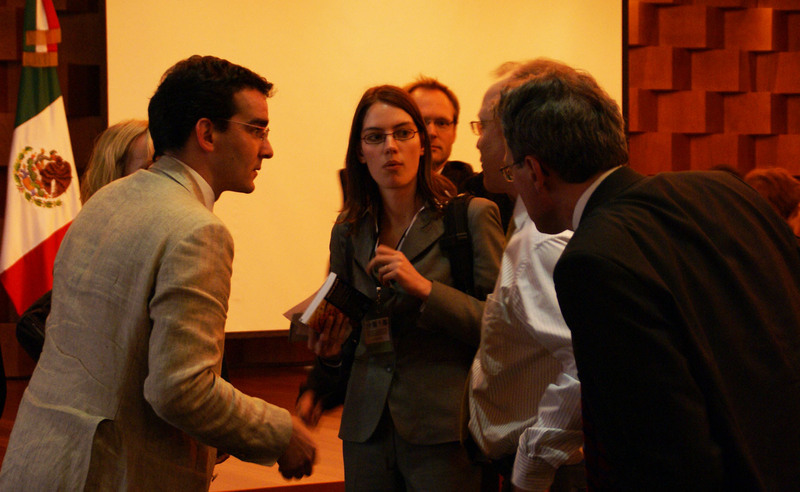 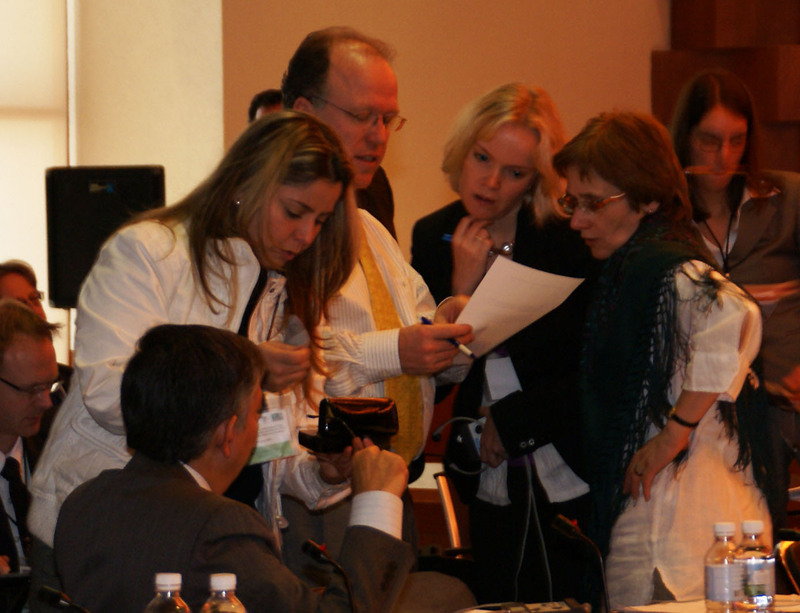 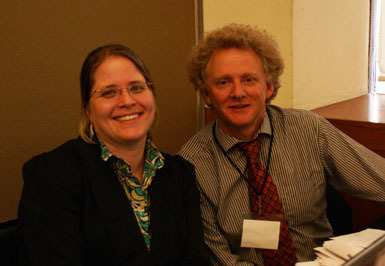 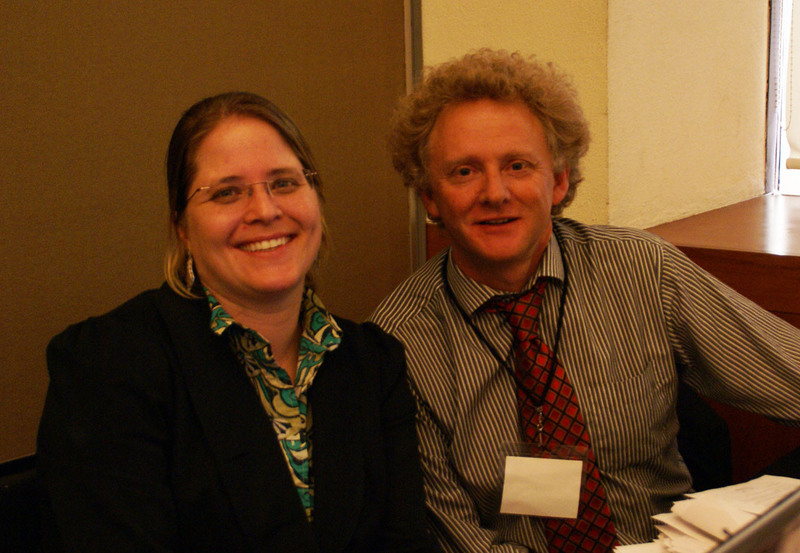 European delegates consulting others during the morning session.